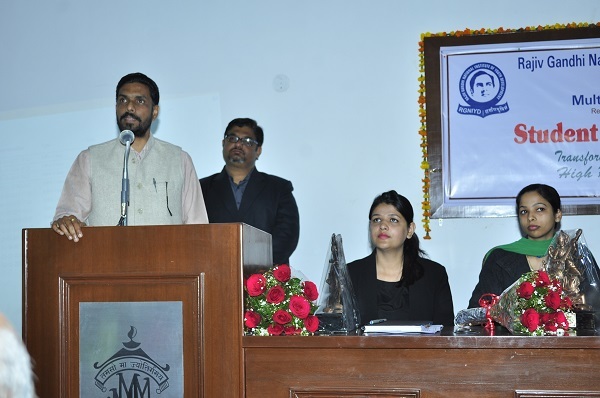 A Student Leadership Programme was organized at M M Modi College here. 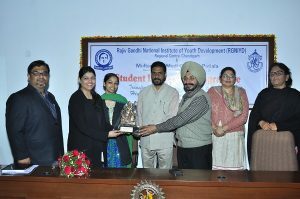 in association with Rajiv Gandhi National Institute of Youth Development, Chandigarh. Welcoming the guest speakers Dr. Khushvinder Kumar, Principal of the College said that in this globalised world students have plenty of opportunities. 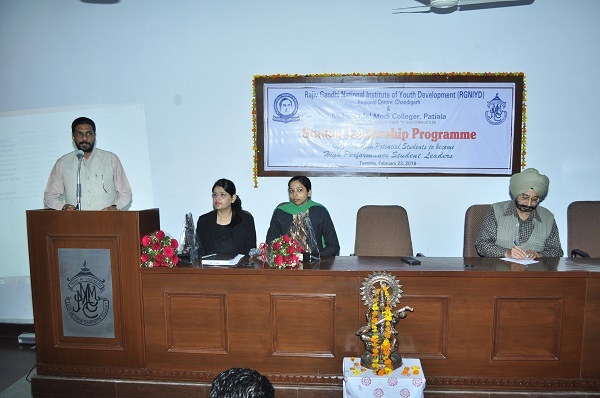 He emphasized that the pre-requisite for availaing such opportunities is the leadership qualities. Leadership qualities are required almost in every field for the successful implementation of ideas and achievement of goals. Keeping this fact in mind the student leadership programme has been organized in the institute. 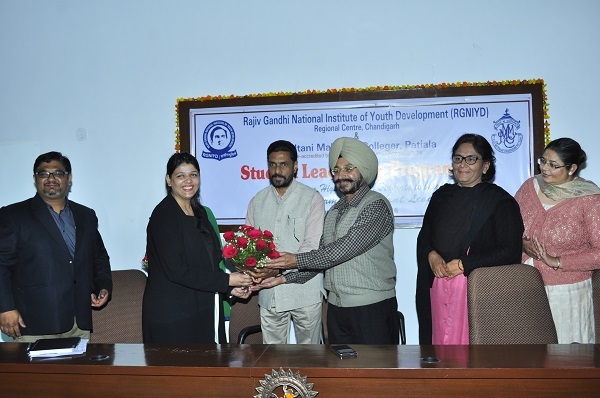 Addressing the students the subject-expert Ms. Akanksha Sharma from RGNIYD, Chandigarh said that these days leadership qualities play a major role not only in politics but in other fields of life. Far sightedness, team work and ability to translate thoughts into actions are some of the key qualities of a leader. She also stressed on the importance of commitment, sincerity and to work with a spirit of responsibility. She also encouraged the students to strive for excellence and not to lose heart in the time of failure. Ms. Kamalpreet Kaur also from RGNIYD, Chandigarh highlighted the need of positive thinking along with good physical health. She said that life is a perpetual struggle. The youth should strive to achieve higher goals in life removing all the obstacles and difficulties from their path with the qualities like courage, planning, time management and internal strength. The guest speaker also appealed to the students to spare some time to enjoy nature, help the needy, spend some time with family and friends and curb the evils of hatred, anger and greed. This will certainly save them from unnecessary mental stress. Prof. Harmohan Sharma introduced the expect-speakers to the students. Prof. Gayatri, Prof. Honey Wadhawan, Prof. Sapna Dhiman and students Ishnoor Ghuman, Manish Singh, Ajit Singh Cheema interacted with the guest speakers. Prof. Harmohan Sharma thanked the audience.